My Latest Custom Orders | Nan Tubre Writes . . . I do accept custom orders, ya know! What could be more fun than to create something special for someone you love? Check these out and let me know what you think. 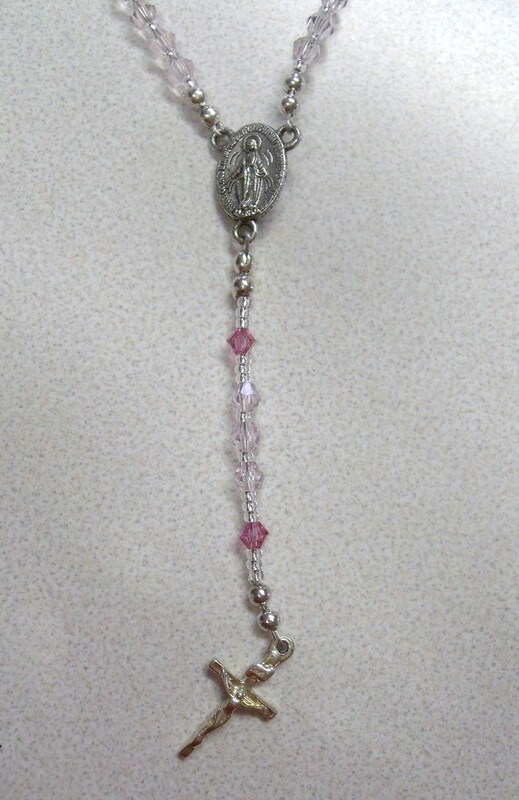 This precious tee-tiny rosary is waiting for a certain little precious tee-tiny baby girl’s baptism! Made of Swarovski Crystal. 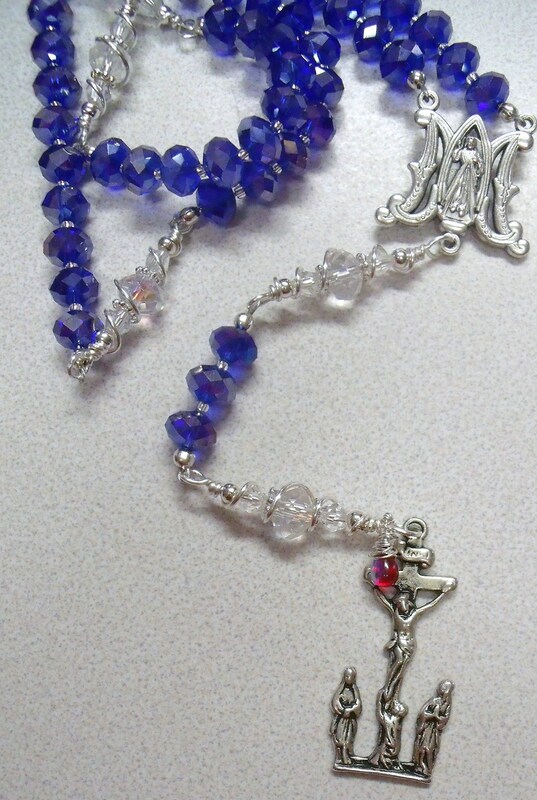 Eight year old Cooper will be making his first communion soon and he will receive this rosary with the Communion crucifix and St. Michael charm from his Great Grandma! 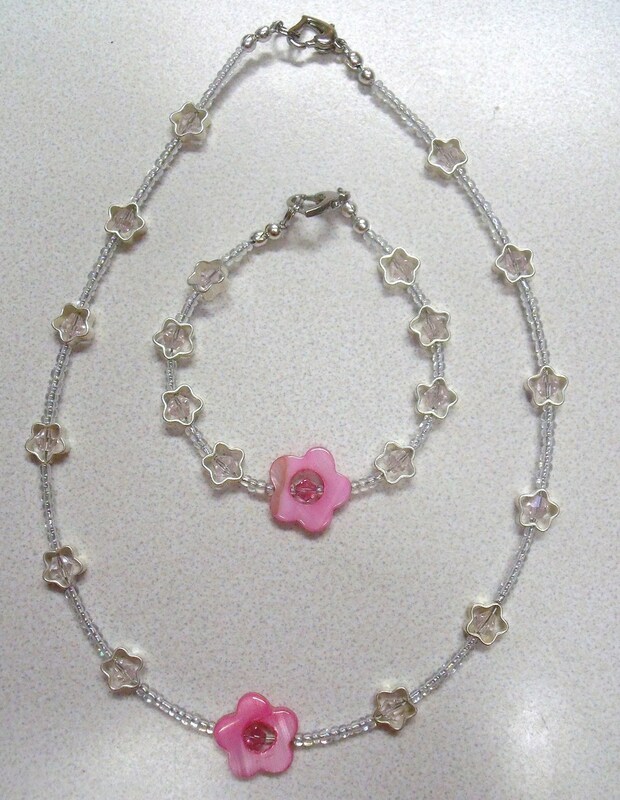 A lucky little four year old princess will be receiving, not one but two, sets of necklace/bracelet combos for her birthday. Can you see the 4mm crystals inside the flowers? 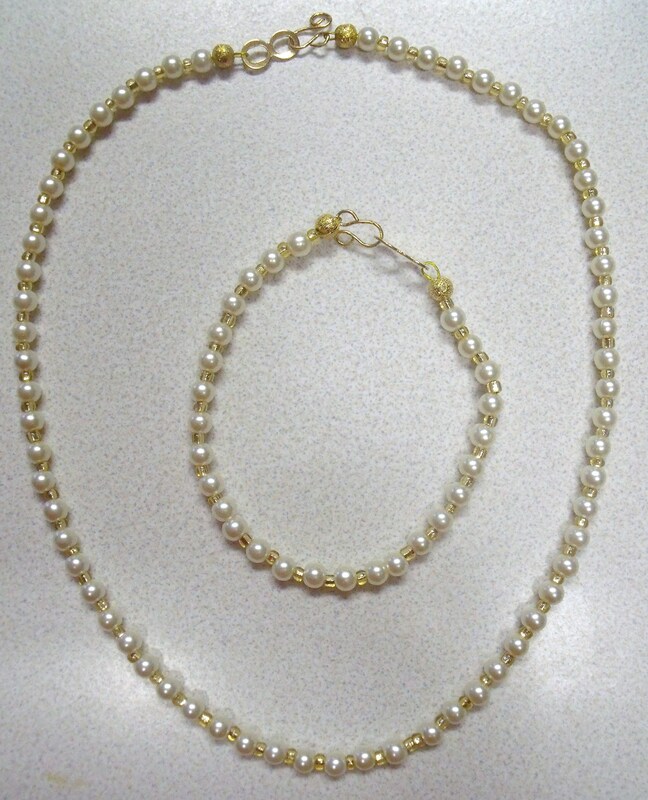 When she gets older, she will be able to link the necklace and bracelet to make a longer version. 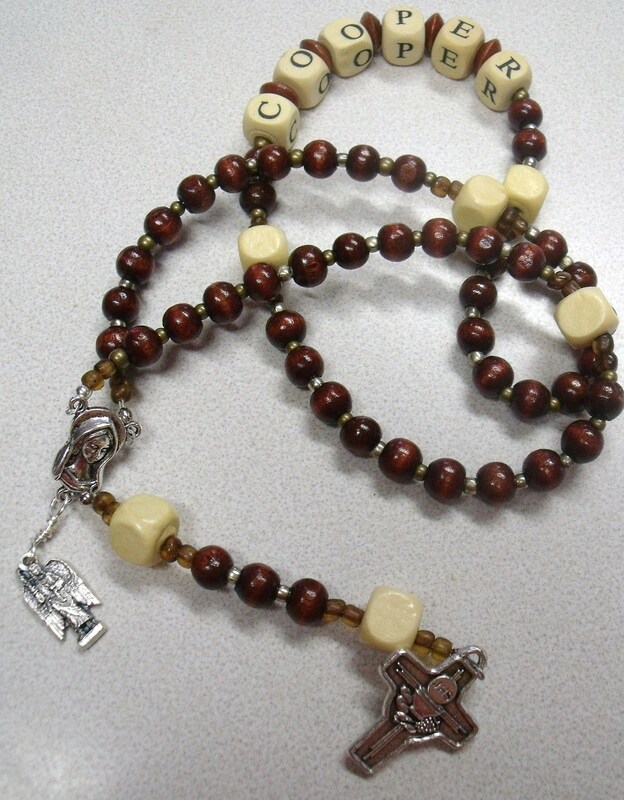 A convert to the Catholic faith will be receiving this rosary on her Confirmation from her sponsor. The Three Mary’s crucifix has a tiny bead attached to symbolize a ‘drop of His blood’ and will hopefully remind her that no matter what she has been through in her life, Jesus is there for her. He shed His blood for her. His mercy never fails. I have two etsy shops now! 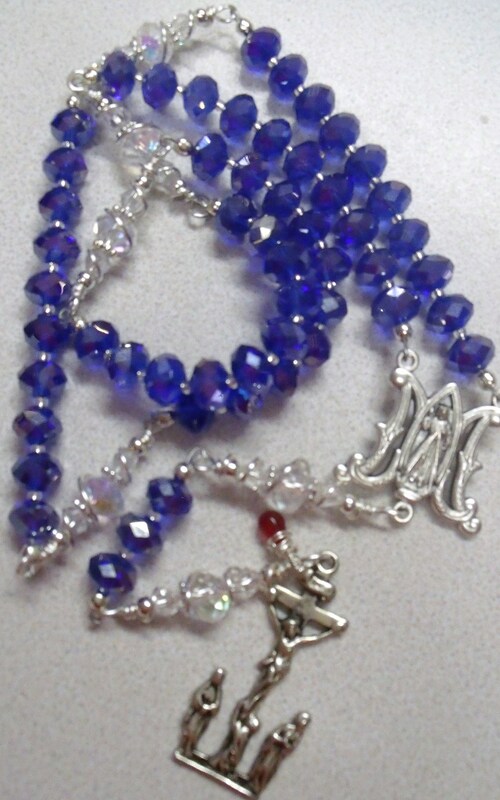 www.etsy.com/shop/nanaspocket for your jewelry and www.etsy.com/shop/ToLoveAlways for your rosaries and Christian jewelry. Come on by!